White mediocrity, and their racism, never fail to surprise me. “Trolls on the notorious site’s /pol (a.k.a. 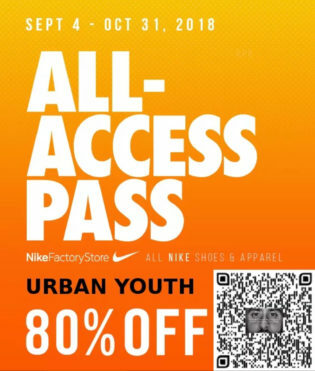 “politically incorrect”) forum have been circulating fake Nike coupons for “people of color,” USA Today reports. 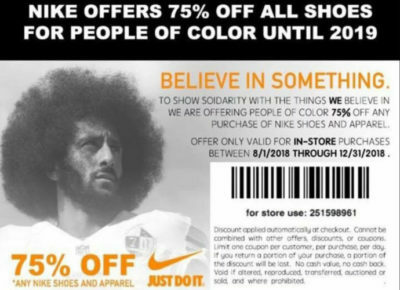 The coupons, which feature photos of Kaepernick, promise massive discounts on Nike shoes and apparel for non-white folks and “urban youth” who use them in-store, claiming Nike rolled out the deal “to show solidarity with the things we believe in.” Obviously, they’re totally bogus. I love when racist whites say they’re American and patriotic. There’s nothing more un-Patriotic than dividing your own country. 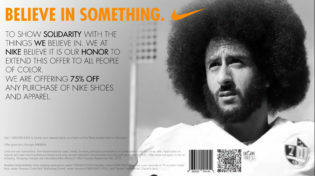 Following all of the yakubian devils destroying their Nike sneakers and apparel in protest of protesting racial injustice and police brutality in America, Nike’s stock has risen to an all-time high. Good job, racist assholes.